A Viking Marriage that is just as wild as the Viking himself. I was so excited to read my first Viking story and even more so when I found out how spunky and independent the heroine would be. This story was way more than I expected. It was full of not only a charming romance, but tons of action and intrigue as well. The setting itself was beautiful and was the perfect backdrop for a Viking romance. There were a lot of different kinds of characters in this story and I had a great time figuring everyone out and finding out who was friend and who was foe. Kaireen was stubborn, willful, and brave. She was the perfect match for our Viking hero Bram. She was forced into a marriage to a complete stranger, but she didn't allow others to dictate her life and fought back. I loved her spirit and loved seeing her interactions with Bram. They were both a great couple and brought out the best in each other. Bram was a ferocious Viking, but he had a soft spot for Kaireen and it showed. 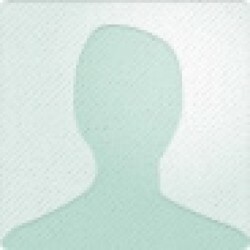 He was a fun character and I liked learning more about him and seeing him woo Kaireen in his own way. He definitely knew how to get under her skin. 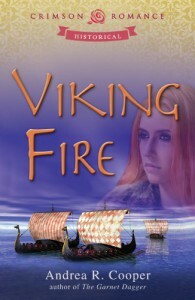 For a wild Viking wedding romance check out "Viking Fire" by Andrea R. Cooper!